Usually those who make this claim recognize God’s requirements upon us regarding murder, stealing, worshiping false gods, etc., but they have a special hatred for the fourth commandment dealing with the Sabbath. In their zeal to rid themselves and others of the requirement to keep this commandment, many have decided to get rid of them all by saying they were nailed to the cross. Then, to maintain some decency in the church, they claim that all the other nine commandments have been restated in the New Testament and, therefore, must be kept. If this were true, then they should be seeking to uphold nine commandments, not ten. God’s commandment says “the seventh day is the sabbath,” yet most Christians believe that it is not necessary to literally obey this command. They say that even though Saturday is the seventh day of the week, Jesus Christ died, and was resurrected on Sunday, and therefore we should honor Sunday, the first day of the week, instead of Saturday, the seventh day of the week. Most Christians will freely admit that Saturday is the seventh day of the week, and the day which God referred to in the Ten Commandments, but they are unwilling to obey this command, primarily because the Sunday-keeping tradition is so strong and, to keep the seventh-day Sabbath holy, one must go against the majority, who honor Sunday. We must recognize our responsibility to keep the Ten Commandments and show, by example, how they are to be kept, including the fourth commandment. 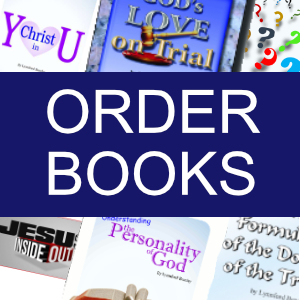 According to the Bible, Sunday is one of the “six working days.” (Ezekiel 46:1) God said, “Six days shalt thou labour, and do all thy work.” (Exodus 20:9) Honoring one day of the week above another is strictly religious in nature, directly relating to our worship of God. There can be no other reason for honoring a day of the week than that of worship. Since Sunday observance can only relate to worship, the government has no right to regulate what I may or may not do on Sunday if it is lawful any other day of the week. Yet, this is precisely what the government sought to do in the time of the Roman Emperor Constantine (306-337 AD), when it was used to persecute God’s people, and it is what many religious leaders are seeking to do again. The mark of the beast crisis will revolve around worship and the government legislation of worship. It is certain that the governments of this world will pass a universal law regarding worship. (Revelation 13:11-18) They will follow the example of Constantine and enforce religious observance of Sunday. 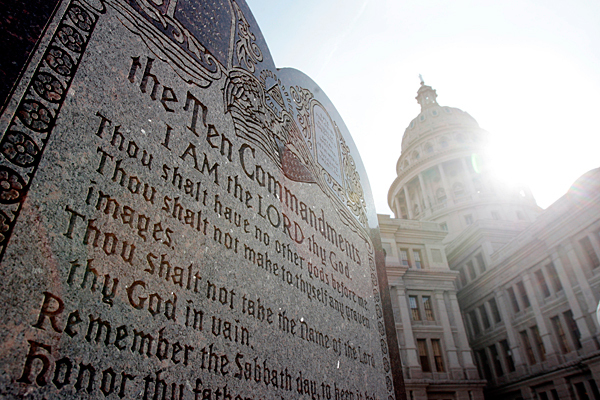 Let us exalt the Ten Commandments before the people of this nation. Yet, in the midst of our eagerness to share them with the world, let us not overlook the fourth commandment, which deals with the Sabbath. This Commandment is just as valid today as it ever has been. Let us stand up in defense of God’s law. Let us demonstrate, by our actions, that we are willing to obey God’s commandments, including His command to keep holy the seventh day of every week, by ceasing from our worldly labors and devoting our attentions to Him in worship and praise on His holy day, even though our friends, families, and neighbors may turn against us because of our stand for the truth. 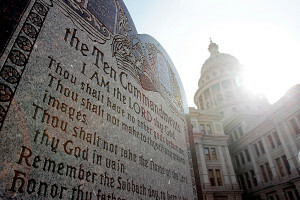 The real issue concerning the Ten Commandments is not whether or not they will be displayed in public places, but whether or not we will acknowledge their validity by our words and actions. Jesus says to you today, “Whosoever therefore shall confess me before men, him will I confess also before my Father which is in heaven. But whosoever shall deny me before men, him will I also deny before my Father which is in heaven.” (Matthew 10:32, 33) Stand up and be counted as one who is in favor of all of God’s Ten Commandments.